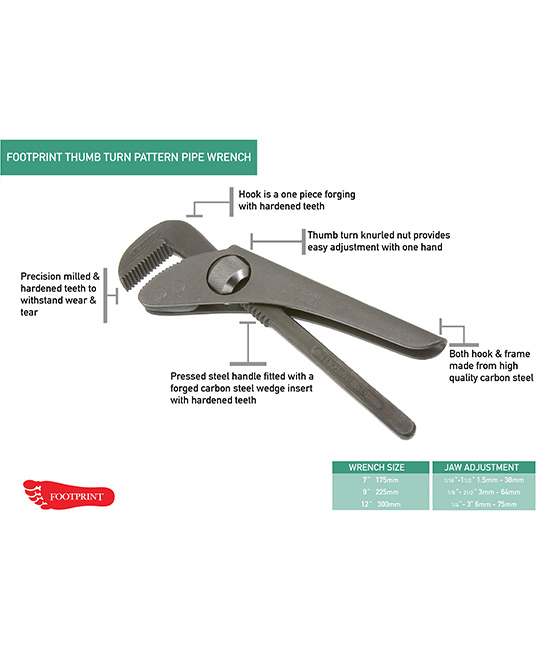 The Footprint Thumbturn pattern pipe wrench has an easier way adjust the jaw size than the original 698 Pattern pipe wrench. 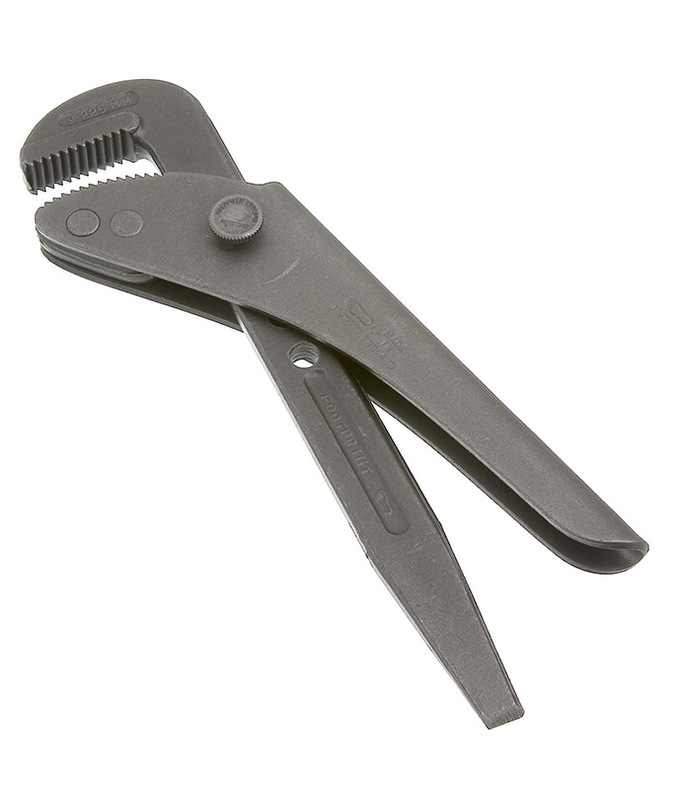 Like the 698 Pattern pipe wrench it is used throughout the world by plumbers, gas fitters, farmers, industry and utility companies. 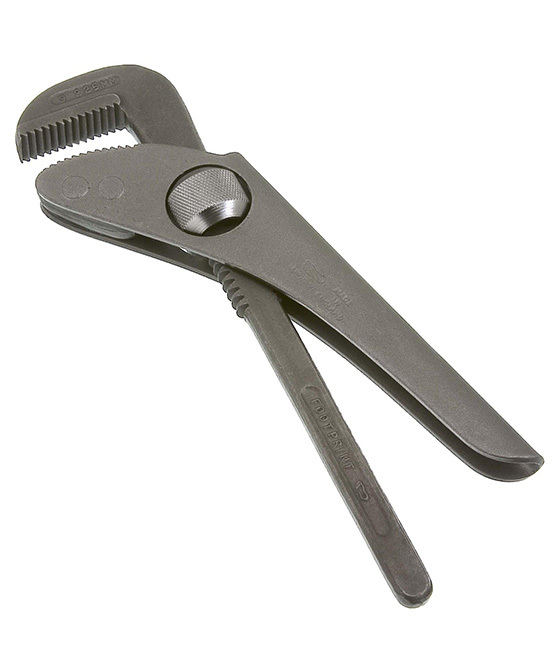 The thumbturn adjustable nut allows the use to adjust the size of the jaws with one hand and without having to unscrew the screw slide the jaws up and down and then re-screw the screw into the frame. Size Inches Size mm Jaw Adjustment Inches Jaw Adjustment mm Pattern No.